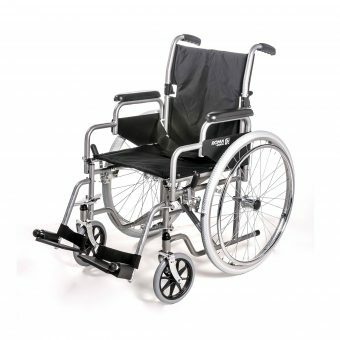 Easy to assemble – reduces the load for pushing up inclines, but don’t be led into thinking it totally removes manual effort. The unit is an Assistant not a self-contained mobile unit. 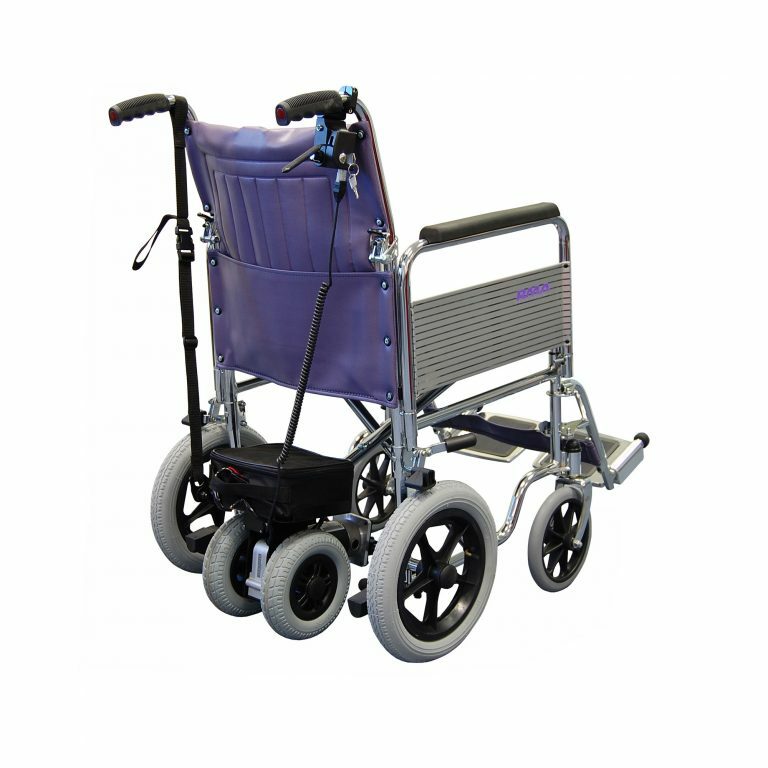 Feature for lifting the wheels (a strap to hook over wheelchair handle), when pushing on level and assistance not necessarily required, is a little bit cumbersome, but not a major problem. 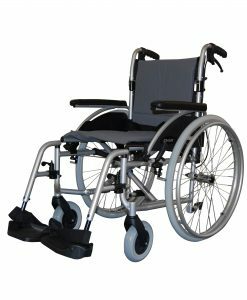 Powerful unit that takes the effort out of pushing a wheelchair. Excellent value compared to similar units. A1 A good buy, easy to fit, everything works fine. Fantastic! This power pack has made life so much easier when out in the wheelchair. 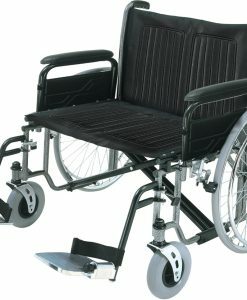 Propels the wheelchair so the attendant only has to guide direction of the chair. Takes all the hard work out of pushing. NOW I HAVE POWER! 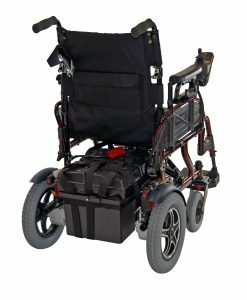 I Purchased this power pack for my own wheelchair and it has proved a big bonus in getting around. 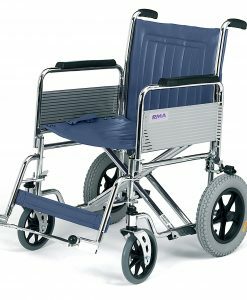 It comes with an extendable bar so that it can be centred on almost any wheelchair, (mine being large chair). It attaches to the chair with 2 quick release clamps left bolted to wheelchair frame. 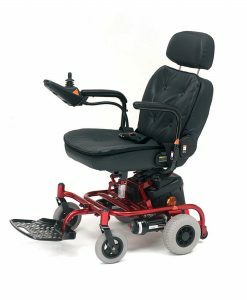 The actuator is designed to be clamped to the handle, but on mine I feed the cable through the chair and clamp the speed unit to my armrest so I can use it myself. A key is needed to power the speed actuater. 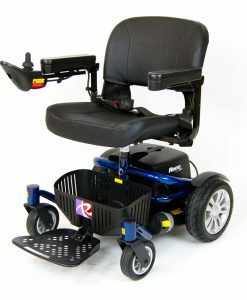 A strong web fabric strap is provided to loop over handles to raise power pack wheels off ground for free wheeling use. For grip the unit is quite heavy and has another strap to provide a downward force. I am easily able to twist my torso to loop the lift strap onto the handles. We tested it by taking a walk around the local park a few times and it easily managed the terrain and its ups and downs. I have not tested off-road but as long as surface is hard and flat it should cope. I have charged the battery both on mains and car power. The motor runs forward and reverse, turning is a bit of a chore but practice helps. 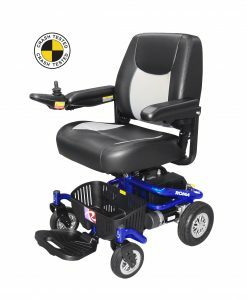 I keep my chair in the car along with the power pack and I found if the chair is standing upright the the pack will fit in the space between the front and back wheels. In conclusion I am glad I got around to buying this power pack as it gives me more control over where I go and frees up my partner from pushing me. Both parents in their 80s,dad can’t walk,mum unable to push him in wheelchair. Therefore they were prisoners in their own home unless given help. This powerpack has given them their independance back. So simple to fit. Just make sure the alun key REALLY tightens the fixtures. Easy to operate. A little fiddly to charge,but nothing is perfect. The power pack works very well and is easy to remove and replace should you need to fold the chair for car travel. Easy to fit, easy to use. Saved my legs in Newquay. Manages most slopes and adds muscle on the steeper hills. What a marvellous invention! 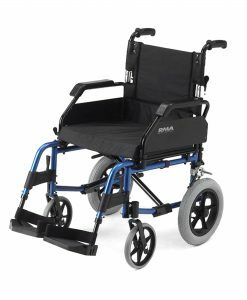 My mother was becoming ill herself and could no longer get my father about in his chair (his vision doesn’t allow for a self drive chair/scooter) this has enabled them to get out and about again. 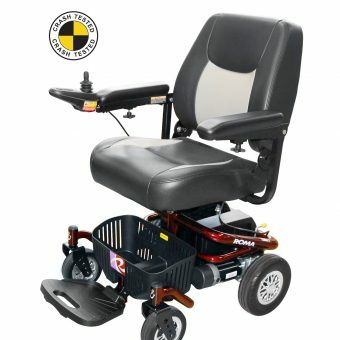 They use a car and a collapsible chair, this was added onto the chair reasonably simply – watch the you tube videos for advice as the instructions are a bit vague, although it has to be done by a fitter person than they are, it’s a bit fiddly and you need a bit of strength. The design is cleverly thought out and it can be disassembled and reassembled easily once fitted so it is as mobile as the collapsible chair, being able to separate it out makes it easy for them to load/unload into the boot of their car. Very good value. Easy to install and does everything the makers claim it will do. 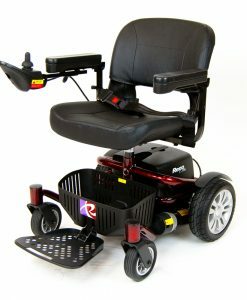 Pushing my wife in her wheelchair is now an easy task thanks to the Powerpack. I would not be without it and once the quick release brackets are fitted it only takes 2 minutes to install or release. 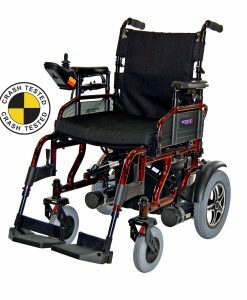 Yes it did meet expectations, it has made a big difference to handling the wheelchair! Controls very good, once you get used to them! I had no problem fitting it, gave myself enough time to think about it,controls very good, once you get used to them. One thing I found the battery connecting lead was a bit short for easy fitting.Also its good to have a spare key. 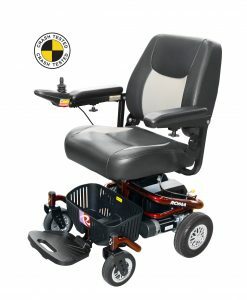 It does exactly what the makers claim, easy to install, just remember that it is an assist to the attendant pushing the chair not a takeover for pushing it. The battery lasts quite well on a reasonably level terrain. The only downside is no freewheel and to lift the drive wheels off the ground is a bit heavy to do. the easiest way I found was to release the hold down strap, hook your toe under the motor raise slightly and hook the lifting strap over the handle bars. In terms of assembly it caters for different tube frame sizes with additionally different sized mounting pieces in a separate bag (although the manual doesn’t indicate this) – It’s a simple but effective fitting but can be a bit fiddly until you get the optimum position for the mounting clips just take your time and don’t rush things, other than that, it’s a straight forward installation and all the necessary tools are included in a plastic wallet too. The motor is quiet with excellent torque and transfers power with little effort – the variable speed controller is as smooth as silk and responds to all settings really well – hardly any delay when switching to reverse although the trigger control must be returned to zero before you switch otherwise the motor will not switch to reverse…..For the money I don’t think it can be beaten – Dual drive wheels and a capable 20amp battery should provide the necessary power to propel a heavyweight like myself at(17 stone)- there are other makes on the market costing nearly double this price, so up to now – I am delighted with the purchase. My wife will be able to tag along for the ride now instead of pushing like a cart horse – We are looking forward to many trips using this powerpack. Brilliant, makes life so much easier.